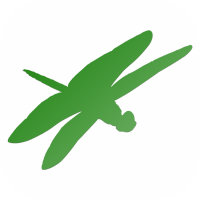 You are here: Home / Blog / Frontpage Article / Rare Bird Alerts come to Android! Finding rare birds in your area is one of the most exciting aspects of birding. 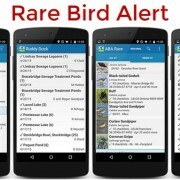 Now, with the BirdsEye Rare Bird Alerts, you can have your own portal to notable birds being seen nearby (anywhere in the world) as well as the rarest birds being reported across North America. If the update hasn’t automatically downloaded to your device yet, it should be available for you to download in the next couple days. Rare Bird Alerts shows you notable birds being seen nearby (up to 250 miles away from your current location if you are a member). These sightings are flagged by eBird as out of range, or out of season. Each alert also has a direct link to the eBird checklist to see comments and photos that the observer included in the checklist. Additionally with a membership, BirdsEye provides all the true rarities being seen through out the ABA region*. This includes recent species like Sinaloa Wren in Arizona, Slaty-backed Gull in Washington, and Common Snipe in Newfoundland. 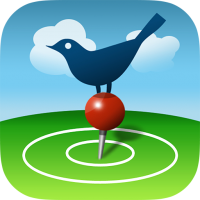 There are still a few differences between the Android and iPhone versions of BirdsEye. We’re trying really hard to make sure the same great features are in both versions. 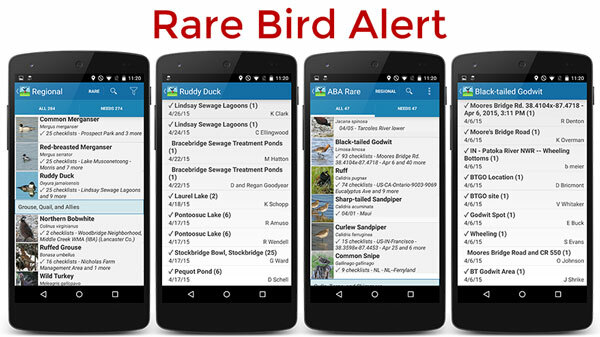 We’ve made a major step in that direction with the addition of the Rare Bird Alerts. Look for more to come. *The ABA (American Birding Association) area covers most of North America north of Mexico. The BirdsEye ABA Rare feature includes species with ABA codes 3, 4 and 5.